Your Chiropractor opens new clinic in Keynsham! 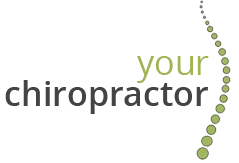 Chiropractor Keynsham! We have some exciting news here at Your Chiropractor. We are launching a new clinic in Keynsham next week! Our official opening date is Monday 27th February 2017. The clinic will be based within The Surgery on Severn Way (behind the cricket ground). See the map below. We will be offering an introductory offer until the end of March: 20% off the cost of the Initial Consultation and Treatment. Full contact details can be found by clicking here.